For six fast-paced films so far, Fast & Furious has been a franchise that's as embedded with themes of loyalty as it is with high-octane action. No matter what happens to Dominic Toretto and his crew--imprisonment, high risk heists, or being sought by the world's brawniest cop--they stick together because that's what family does, for better or worse. This theme grimly took on real world implications when Fast & Furious star Paul Walker unexpectedly died in a freak car accident over the Thanksgiving holiday, bringing the cast together to mourn with his surviving family, and legions of fans worldwide. As the cast was on break from production of Fast & Furious 7 when this tragedy struck, Universal Pictures and director James Wan were faced with the uncomfortable decision of how to proceed in finishing the film. But in my opinion, there's only one option that makes sense. As hard as it may be to face, Brian O'Conner needs to die. This column contains spoilers for the Fast & Furious series. When production went into hiatus, many fans of the franchise were left wondering what would become of Fast and Furious 7, but perhaps more urgently what would become of Brian, who was essentially a cofounder of the car-stealing crew next to Vin Diesel's Dom. You can't just write him out with a throwaway line like they did with Tego (Tego Calderon) and Rico (Don Omar) in Furious 6. Brian needs a proper exit befitting of his high-ranking status in the series. But considering the real Walker not only died but also died in a violent car crash, it initially seemed in bad taste to kill off his character, especially in the most common act in this franchise--a gruesome automobile accident. Walker's death was shocking and terrible. And of course the franchise he is best known for shouldn't exploit his death by recreating it for audiences, right? I agree. But Brian still needs to die. Nothing else makes sense. Recently, it came out Universal will "retire" Brian from the franchise, presumably riding off into the sunset with wife Mia (Jordana Brewster) and their baby boy. Never again would they get mixed up in globetrotter heists or risky car chases. Never again will the O'Conner clan deal with gangsters and terrorists. They'll live a quiet life on some stretch of beach (Zihuatanejo perhaps), or back in L.A., maybe. Except that resolution makes zero sense because Brian would never leave the family he has forged through these movies. He and Dom are deeply bonded, not just by their love of muscle cars, but by fraternal friendship and actual family ties! He married Dom's sister. How are we supposed to believe that whatever future shenanigans the crew gets up to Brian wouldn't be there with a need for speed and a Baby Bjorn strapped on if need be? For a similar character-ending conundrum, consider Downton Abbey. At the end of season three (spoilers ahead), everything looked bright for Matthew Crawley, his wife Lady Mary and their newborn son. 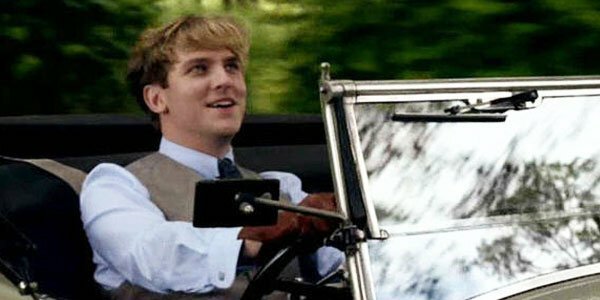 But actor Dan Stevens, who played one half of the will-they-won't-they couple, had made a firm decision to leave the show. So despite the heartbreak it caused Mary and fans worldwide, the show's creator Julian Fellowes had to kill him off. (That he did so in a car accident is a weird coincidence.) Amid fan outcry, Fellowes explained recasting seemed wrong and there was no storyline that could reasonably justify Matthew leaving behind his family. With Brian it's the same. No matter how far fetched some of this outrageous franchise's plot lines get (amnesia or resurrection of formerly killed characters for example), one thing Fast and Furious fans shouldn't be expected to accept is that Brian would ever leave Dom and the gang behind. That's not what family does. The idea of giving all you've got for family has become the very core of this film series. Of course, it would be difficult for everyone involved creating a scene where Brian dies. But it could prove cathartic too. As soon as news that Walker had died hit the web, fans rushed to share in their grief and sing the praises of their fallen star. It would be unforgivably crass to exploit Walker's death to sell a movie. But looking at the box office totals of Furious 6, Fast & Furious 7 was basically guaranteed to make bank from its green light. Besides having Brian die in Fast & Furious 7 need not be exploitative. It could be a tribute, honoring not only the self-sacrificing character audiences have grown to love but also to the actor/philanthropist Walker was. They could take a page from Gisele's death in Furious 6. She died saving Han, falling off the car and into darkness. It wasn't gruesome, but bittersweet and perfectly heartbreaking. A scene that has Brian sacrificing himself for the safety of his family--be it Mia and their baby or Dom and the crew--would be a powerful and fitting way to give Brian his exit. Plus, it would give us as an audience an opportunity to say goodbye to Walker in a way that is suitably spectacular. There's an energy in Fast & Furious screenings that is rarely matched by any other cinema-going experience. And us enthusiastic fans deserve the opportunity to say goodbye to Brian and Walker on terms that make sense. I'm not saying creating a suitable death sequence would be easy. But if Brian and Dom's exploits have taught us anything, it's that anything worth doing is worth doing with insane stunts and mind-blowing special effects.